Wibu-Systems’ CodeMeter enables device security and price responsive business models for the healthcare industry. 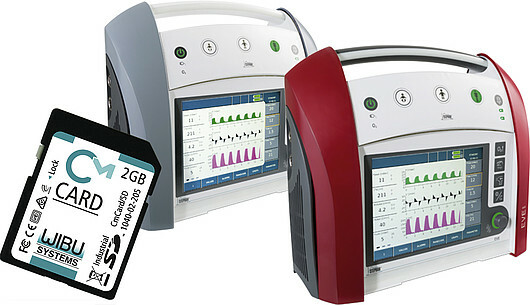 Wibu-Systems, a leading enterprise in the field of secure license lifecycle management, and Fritz Stephan, a world leader in ventilation, anesthesiology, and oxygen supply solutions, have announced the integration of Wibu-Systems’ CodeMeter licensing and protection technology into Fritz Stephan’s Easy Ventilator Emergency (EVE) devices. CodeMeter protects the company’s intellectual property against counterfeiting and reverse engineering, safeguards its EVE devices from tampering, and enables a convenient, online licensing system for its customers. Fritz Stephan’s EVE ventilation systems were developed for a very sensitive group of patients that require gentle and non-invasive ventilation therapy. Because of the critical nature of these devices, the company needed to implement security mechanisms for the safety of the patient. To ensure the integrity of the devices, CodeMeter Embedded, a modular runtime for embedded systems, was integrated into the life-saving software of Fritz Stephan, and a unique CodeMeter SD card (CmCard/SD) was built directly into each EVE device. The card holds the encryption keys along with digital signatures, certificates, and entitlement rights securely in a smart card chip. The operator of the ventilation device cannot access this card without physically tampering with the machine, while the maintenance or sales personnel of Fritz Stephan can easily replace them. Furthermore, Fritz Stephan needed a modular licensing solution that would allow them to implement feature-based licensing and enable easy online updates. With the Internet Edition of CodeMeter License Central, Fritz Stephan has created a scalable licensing model which can easily upsell new licenses to its global customer base and conveniently modify the set of features of its devices over the internet. The integration of CodeMeter into Fritz Stephan’s EVE devices is just one of many successful applications of Wibu-Systems’ CodeMeter licensing and protection technology in the healthcare industry.